12 April 2018 - "it really does look and sound good"
Multi-award winning, red-hot musical phenomenon Chicago returns to the West End, following hugely successful UK and international tours. 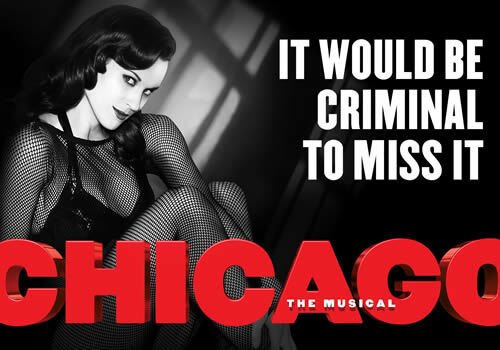 Currently the longest-running musical on Broadway, Chicago ran in London for 15 years, opening in 1997 at the Adelphi Theatre, before later transferring to the Cambridge and then Garrick Theatre, where it closed in 2012. Originally premiering on Broadway in 1975, Chicago is the thrilling story based on reporter Maureen Dallas Watkins’ 1926 play of the same name, which tells the story of aspiring performers turned murderesses. Set against the backdrop of the gaudy 1920’s nightclub scene, Roxie Hart and Velma Kelly reside in the County Cook Jail, where they try to keep from Death Row with the help of smooth-talking Billy Flynn. Featuring music by John Kander and lyrics by Fred Ebb, who are the duo behind The Scottsboro Boys and Cabaret, as well as a book by Ebb and Bob Fosse, Chicago is the vaudeville-esque musical that features a soaring score, including “All That Jazz”, “Funny Honey”, “When You’re Good to Mama”, “Cell Block Tango”, “Razzle Dazzle” and “Hot Honey Rag”, amongst many more. Todrick Hall stars as smooth-talking lawyer Billy Flynn, alongside Mazz Murray as Mama Morton, Caroline Flack as Roxie, Josefina Gabrielle as Velma and Paul Rider as Amos Hart, who have starred in Chicago before. Further casting includes Michelle Antrobus, Natalie Bennyworth, Nicola Coates, Frances Dee, Zoe Gappy, Emma Harris, Chelsea Labadini, Joanna Rennie, Abramo Ciullo, Francis Foreman, Luke Jarvis, Matt Krzan, Alan Richardson, Charles Ruhrmund, Todd Talbot, Callum Macdonald, Chris Warner Drake and Matthew Wesley. Nominated for multiple Tony Awards for its 1975 premiere, the production eventually earned its credits for the 1996 revival, starring Bebe Neuwirth and Marcia Lewis. Swiping six Tony Awards at the 1997 ceremony, including Best Musical Revival, the show went on to open in the West End in the same year, earning two Olivier Awards including Outstanding Musical Production. Chicago was later adapted into a 2002 film, starring Catherine Zeta-Jones and Renee Zellweger. Recently celebrating its 21st birthday on Broadway, the touring production now transfers to London’s Phoenix Theatre, produced by Barry and Fran Weissler, who have produced the production around the world. 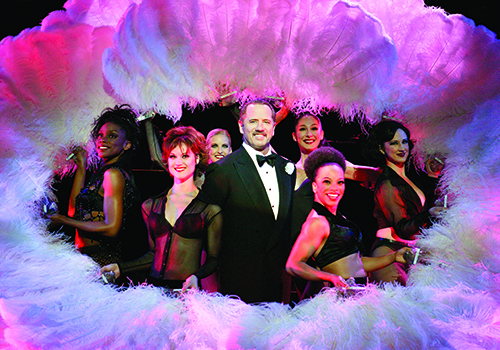 Bringing the razzle-dazzle back to the West End, Chicago plays at the Phoenix Theatre. Chicago is recommended for those aged 13 and up. Children below this age will not be admitted.